MANILA, Philippines, Jan. 23, 2013 – Expanding upon the success of the Latitude 10 standard configuration launched in November2012, Dell today announced the Latitude 10 essentials configurationto offer a secure, manageable and durable enterprise-ready tablet optiontobudget-conscious customers. Ideal for organizations such as schools and small businesses, the new configurationoffers outstanding value with essential productivity and collaboration features and a full-featured Windows 8 tablet experience. The new Latitude 10 offers consumer customers rich entertainment features for movies, books and games, as well as compatibility with familiar applications and accessories to transition seamlessly between work and play. 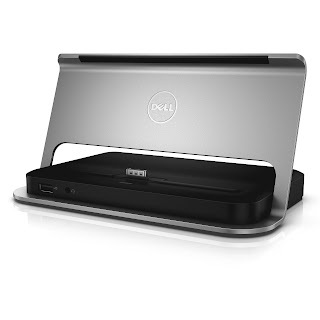 “Dell’s heritage is rooted in meeting the needs of our customers with cost effective, tailored solutions that empower them to reach their potential be it in the office, classroom or hospital,” said Christopher Papa, country manager, Dell Philippines. 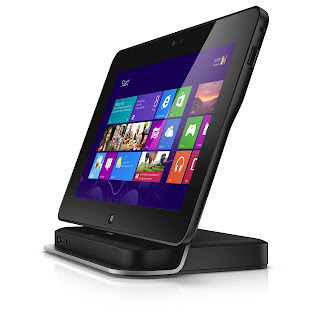 “This legacy, combined with our portfolio of new enterprise services and product offerings, such as the Latitude 10, enables our customers to deploy the latest technology while balancing IT control and end-user productivity.” The new tablet snaps easily and securely into existing IT environments to help improve IT efficiency and decrease total cost-of-ownership. The Latitude 10 does not require new mobile device management or software licensing, supports new and legacy Windows applications, is compatible with Adobe Flash and connects with existing peripherals to allow end-users to work and play the way they always have. Likewise, the Latitude 10 enables seamless sharing of one device among multiple users for an affordable, safe and consistent touch computing experience. As with the other Latitude 10 configurations, the new tablet is framed in magnesium alloy and covered with soft-touch paint for enhanced durability and a good grip. Corning® Gorilla® Glass delivers a responsive touch experience and vivid graphics display and stands up to the test of busy and active users. The Latitude 10 powers through typical school or work day and with optional Dell ProSupport™ , an expert engineer is available 24/7*online or by phone for unexpected hardware and software remote troubleshooting to keep end-users productive no matter where they are. The Latitude 10 is equipped with Microsoft Windows 8 designed to increase learning productivity and collaboration by maximizing learning time with instant access to resources through the Instant-On with Connected Stand-By mode feature. The new tablet is powered by Intel’s Atom system on a chip and can run Windows 8 Snap Mode, allowing students and teachers to easily multi-task between two applications, such as interacting with a remote teacher via Skype while taking notes in Microsoft OneNote. Availability and Pricing The Latitude 10 essentials configuration 64 GB is available today starting at US$677 and the32 GB will be available in the coming months. It joins the Latitude 10 standard configurationannounced in November2012.